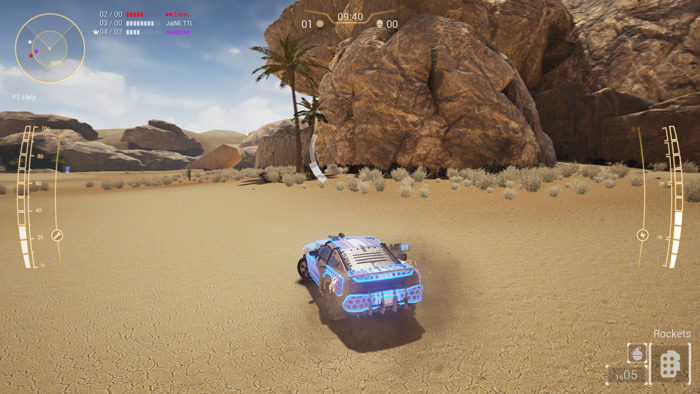 "A high octane battle driving game with lots of explosions!" Diesel Guns demo is an online multiplayer car combat game, pitting you in a kind of Mad Max like lifestyle where you drive around in the desert trying to destroy any other vehicle that gets near to you. At the start you have a choice of a few vehicles will you choose speed or strength in your vehicle? Some of the cars are very quick while some of them are heavily armored so choosing your vehicle will really depend on the type of driver you are. The graphics look really good and although the scenery is a little minimal at the amount this is still an early demo release and Diesel Guns looks to be shaping up to be a great game. 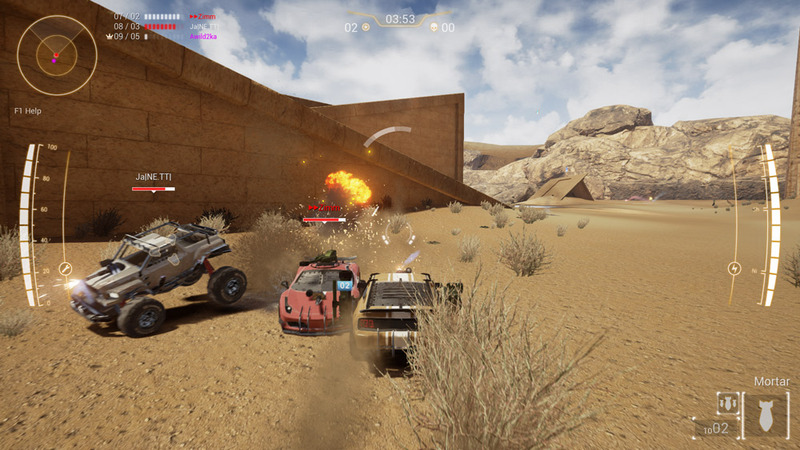 The game play is a lot of fun also although it can take some time to get used to driving and aiming good shots at the same time but the high octane action is awesome and there is something very satisfying in swerving your way across the desert while cannon shots explode around you. You don’t have unlimited ammo though so you must make sure you keep collecting the ammo and power ups that are scattered around the desert wasteland. A variety of guns can be found but they all have more or less the same effect of making big explosions which is what you want! Download the Diesel Guns Demo here for free.